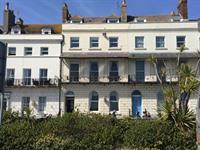 Gloucester House is a stunning bed and breakfast situated on Weymouth’s seafront, over looking the beach and only a few minutes walk from the town and venues such as the theatre and cinema. There are a variety of restaurants and pubs within a short walk. Our location is perfectly situated close to all the attractions, events and activities to suit all your requirements and located perfectly for all that Weymouth and Dorset has to offer. Book now, you won't be disappointed. 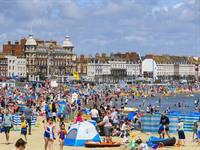 Weymouth Beach is an award winning three mile wonderfully sandy beach and is just across the Esplanade from Gloucester House and close to the historic harbour. There's plenty of entertainment for everyone to enjoy on Weymouth Beach ranging from traditional attractions such as Punch & Judy and donkey rides, to lively events such as beach volleyball championships, live music and free summer firework displays. At all times of the year, enjoy a stroll along the wide promenade or the beach. You don’t want to miss this, the little ones will love it. 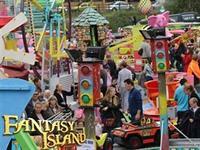 Fantasy Island has a wide range of rides including many classics such as spinning tea pot, big wheel, helter skelter, bumper cars, flying elephants, and much more. There is plenty in the way of refreshments at the NEW Sunset Coffee Bar which boasts the most stunning views of Weymouth bay. Mother nature is always akin to serving up a veritable feast of species of wildlife for us to marvel at. 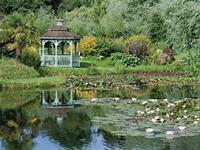 And when it comes to a living and breathing colourful spectacle of wildlife and wild plants, Bennetts Water Gardens never fails to please. Over 150 varieties of water lilies and cacti call it their home, and you won’t want to leave till you’ve had a go at identifying most of them. A nursery presents you with the option to take a few of your favourites home. Nothe Fort in Weymouth is Located at the entrance to the Harbour. It is a labyrinth of underground passageways and outdoor areas with stunning views of the Jurassic Coast. Constructed on three levels, which are easily accessed by means of a lift, the Fort is filled with displays, mammoth guns and cinema areas that chart the history of this large and magnificent Victorian structure. 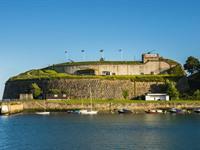 You don’t have to be a military enthusiast to enjoy Nothe Fort, it’s a great day out for all the family. Explore an amazing underwater world at Weymouth SEA LIFE Centre and Adventure Park! Get up close to over 1,000 creatures at our centre including our playful family of otters, comical penguins, jawsome sharks and magnificent rescued sea turtles. Head to Castaway Bay and cool down in our Splash Zone and Pool and check out our new creatures in The Rainforest. With fun talks, animal feeds, special events and our Dive Adventure Quiz Trail there’s plenty for everyone to enjoy. 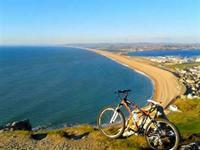 Quiet scenic trails, off-road routes and wonderful scenery make cycling in Dorset something very special indeed and provides the perfect destination for your holiday or short break. Bringing your own bike? We can store it, or bike hire is available. From our doorstep, take a walk on the wild side with a variety of family friendly and challenging trails that make up the Weymouth countryside. With over 4,700 public footpaths and bridleways to choose from that are well sign posted and accurately mapped out, you can really stretch your legs and begin a voyage of discovery. Two of the most recommended routes are the Rodwell Trail that follows the track bed of the old Weymouth to Portland Railway and the more challenging South West Coast Path. There are so many top-notch river and lake fishing spots to choose from with waters that are well stocked with a variety of fresh water fish. Weymouth also offers some of the most diverse sea angling in Britain and also plays host to many national and international competitions. 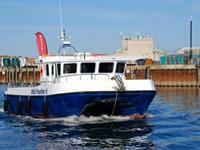 There are many daily fishing trips available from the harbour. From tall ships to large yachts and cruisers, from paddleboards to trawlers and naval vessels, if you’re into boat trips, Weymouth is for you. Just sitting on the edge of Weymouth’s busy harbour, you will soon realise that Weymouth is port to so many different sorts of boat. Of all the things to do in Weymouth boat trips are probably top of our list. 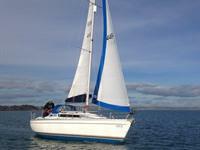 You can sail your own boat or hire a charter yacht, or dive the waters of Weymouth bay. 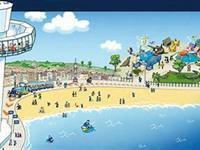 Plenty of options await you in Weymouth. Wild Jurassic Cliffs - What better place could you imagine for a coasteering experience than the UNESCO World Heritage Jurassic Coast? 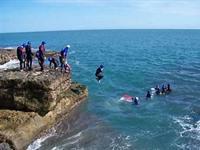 Weymouth and Portland has several registered Coasteering and adventure activity companies, who provide all necessary safety equipment and guidance. 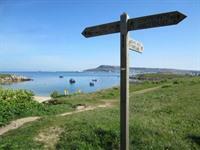 So enjoy the wildness of Dorset’s cliffs and sea, while getting to grips with nature. Ideal for groups and parties!